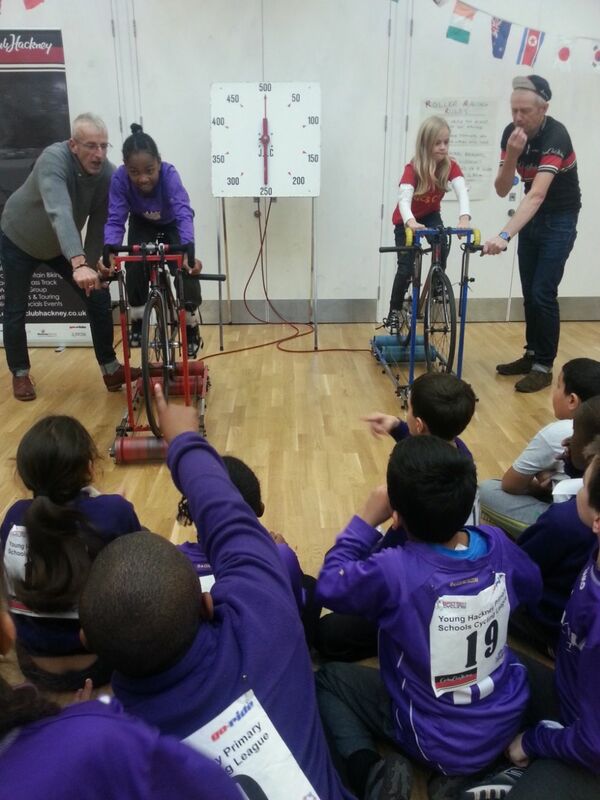 Kingsmead's cycle racing team had a very different experiece last week, racing on fixed bikes at Young Hackey Primary Schools Cycling League's Roller Racing Derby. 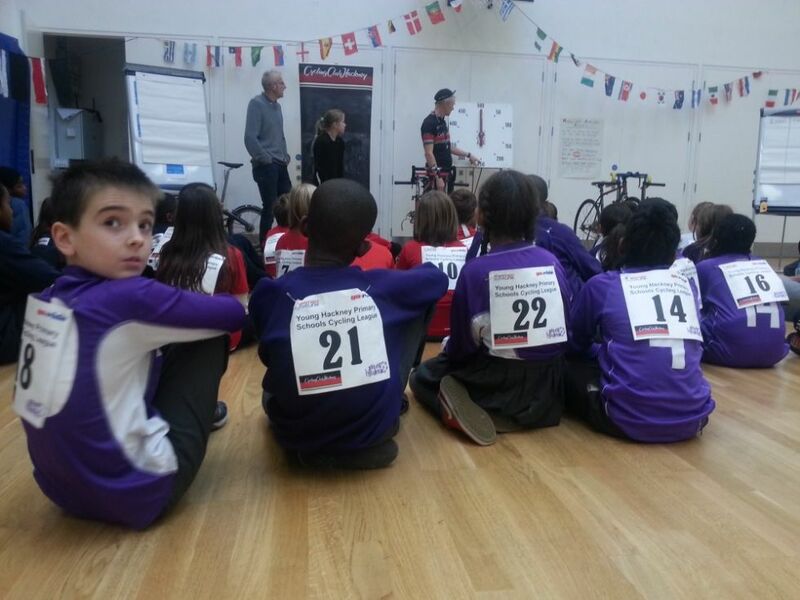 Kingsmead's cycle racing team had a very different experience last week, racing on fixed bikes at the Roller Racing Derby organised by the Young Hackey Primary Schools Cycling League. The races took place inside, at the Forest Road Centre in Dalston. 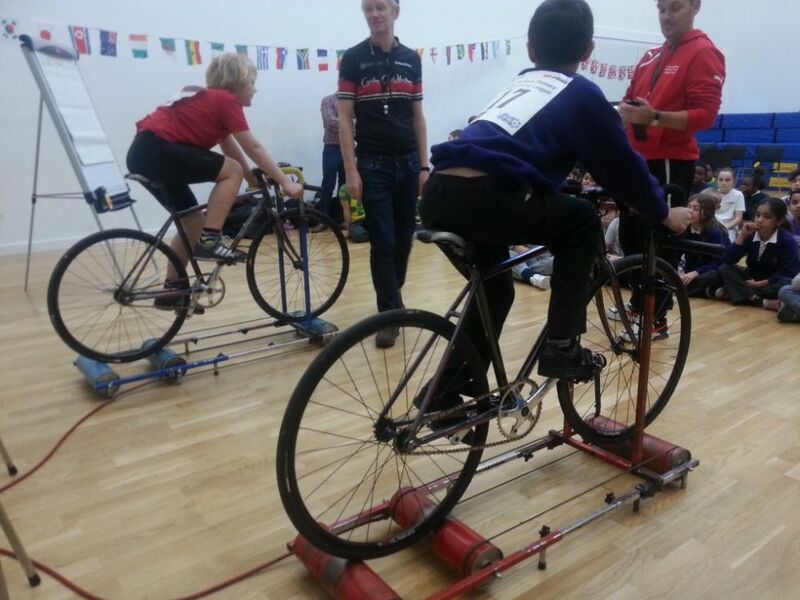 Teams competed on a red and a blue fixed bike positioned on rollers. 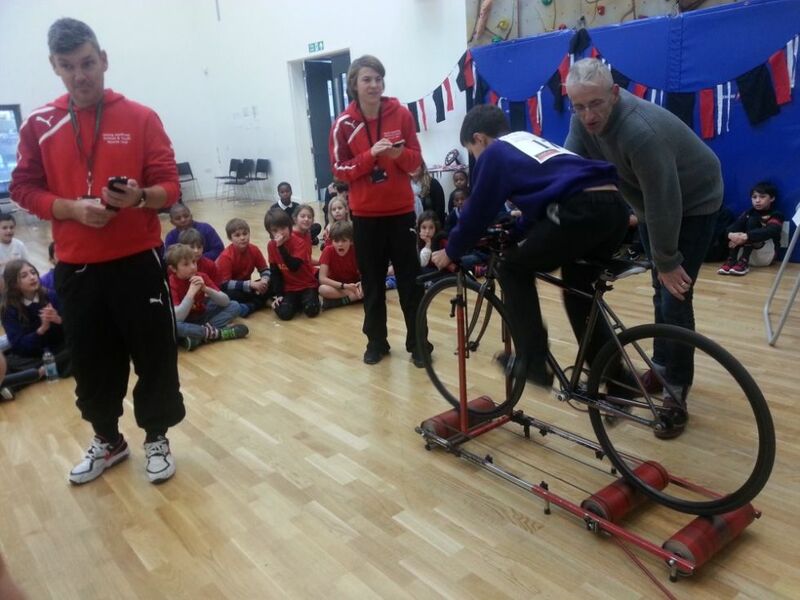 The bikes had a timer inbetween them, and the winners were the fastest over a distance. 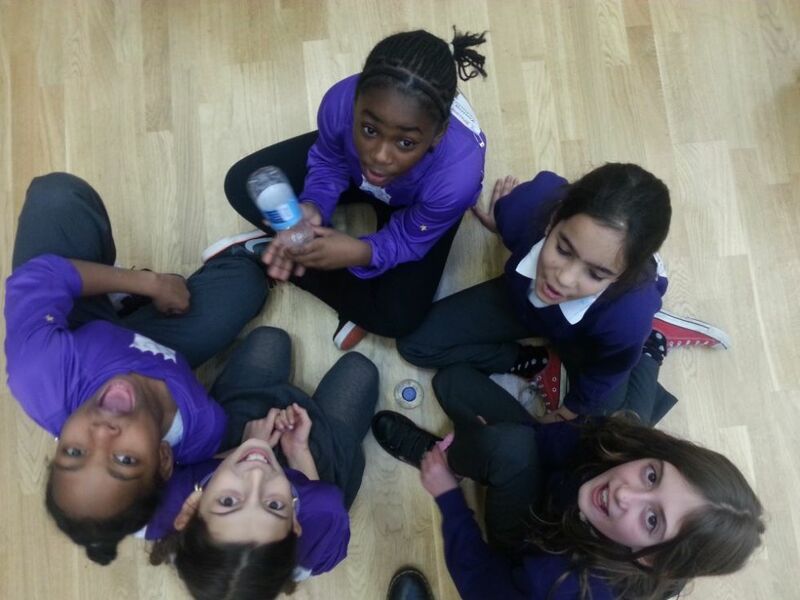 There were huge cheers from the sporting teams and lots of very close races. A really exciting event! Thanks to everyone who organised it.